Is gravity getting the best of your once youthful and vibrant cheeks? The aging process, environmental issues and gravity all take their toil on our bodies, and our facial structure will often suffer most. Even men and women in their 30’s can start to notice that their cheeks are getting droopy and flatter. This process is natural, but it can make a person look older and more tired than they really are. Fortunately, your plastic surgeon can offer a solution. Patients who have sagging cheeks can elect to have a cheek lift procedure. This can vertically lift and restore cheeks where volume has been lost or descended. It also softens deep lines around the nose and mouth. Often the fatty tissue that was once within your cheeks will rotate towards your nose or mouth, which creates deeper nasolabial creases and can pull down the lower eyelid tissue. By lifting the cheeks, or mid-face, patients gain a significant improvement in their overall facial appearance and benefit from a youthful, more rested look. A cheek lift differs from a traditional facelift surgery. A cheek lift is designed to restore the volume and curves of the cheeks for a fuller, more youthful appearance. However, a facelift is intended to reduce excess tissue and smooth the skin contours and primarily addresses the lower portion of the face (mouth, jaw and neck). If you are not up for plastic surgery, you can also choose injection fillers to reduce a droopy cheek appearance. It is important to know that while this is a less invasive and less expensive option, it is not as permanent as a cheek lift surgery. Both men and women of all ethnicities can benefit from a cheek lift or mid-facelift procedure. Men especially may find that their sagging cheeks give them a “grumpy old man” look, which can be quickly corrected at your plastic surgeon’s office. 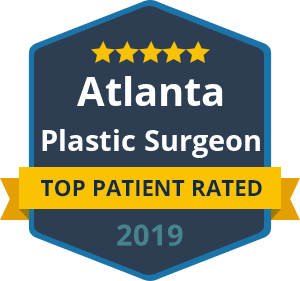 To learn more about how a cheek lift surgery can make you look younger, happier and more energetic, schedule a consultation with Dr. Ben Talei of Beverly Hill Center of Plastic Surgery.